Have you ever wanted to be more in control of yours and your family’s health? Would you prefer to look after yourself and your family in a more natural way, rather than having to use conventional medicinal drugs, which for many is the only option? 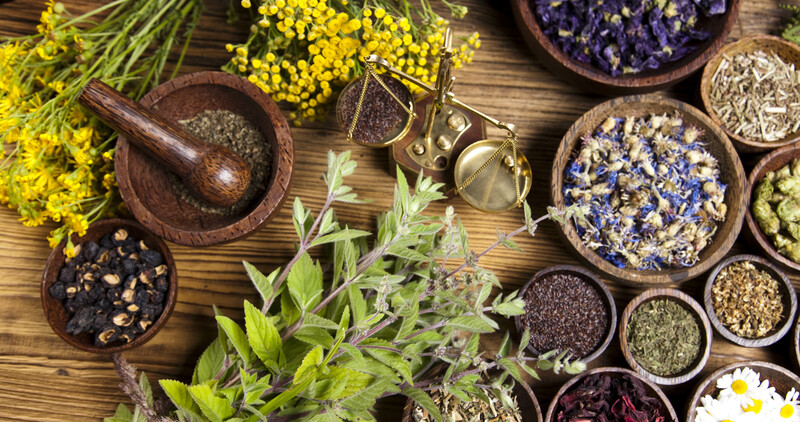 Herbal Medicine is the oldest form of medicine known to man. Plants are naturally in the tune with the vibrational frequency of all living beings and work deep down to produce long lasting results. Plants are the basis on which modern medicine was established by using the known chemical properties of the plants and then synthesising them in a laboratory to produce ‘medication’, which sadly often has negative side effects. Since I was ‘introduced’ to herbs 20 years ago, with regard to my health and that of my daughter’s health, they have become a major part of my way of living and I can honestly say my life has been much richer and healthier. The empowerment I have gained through being my own ‘doctor’ and taking care of myself and my family naturally, without the use of conventional drugs, is immense. I went on to discover both the medicinal and nutritional values of the food that I eat day to day. Hippocrates, the Father of Medicine himself said that ‘Let food by thy medicine and medicine be thy food’. Do we really consciously consider what we put into our bodies and the effects it has/will have – especially long term? My biggest passion is to help people see the value in using natural foods and herbs to get well and maintain optimum health; to educate them with simple recipes and information. This empowers people, something many of us have lost through handing over responsibility for our health to the medical establishment. That’s not to say that conventional medicine doesn’t have its place. I think it’s highly valuable, for example in trauma medicine but I would like to invite people to consider that Herbal Medicine is a safe and effective natural alternative. Next time you get a cold or sniffle, why not try Echinacea tincture to boost the immune system? Echinacea is a pro-biotic rather than anti-biotic. This means that it encourages your body to produce more white blood cells which are an important part your bodies defense system. Likewise, making a simple Onion and Garlic syrup at home will strengthen and decongest the respiratory system, boost the immune system and will help you fight your cold more effectively in a natural way. Plus it tastes yummy as opposed to some of the horrible chemical ones. My New Online Course ‘Cures from your Kitchen Cupboards, Better Health at your Fingertips‘ gives you plenty of information and easy recipes to follow so you can start your herbal journey at home from the comfort of your kitchen. You’ll be taking care of yourself naturally before you know it. Click the here for more information. Keep your eyes peeled for upcoming special offers and video tips.